I am continually impressed by the breadth of interesting people I encounter in the fintech arena. Whether they are traders, technologists, media or even marketers (yes, believe it or not), there are so many great stories behind the scenes from the people that make this industry exciting. So, welcome to “Five Questions with…,” a new Trade Talk series in which we interview notable market participants and technology thought leaders about a few common—and a few unique—industry-related subjects. 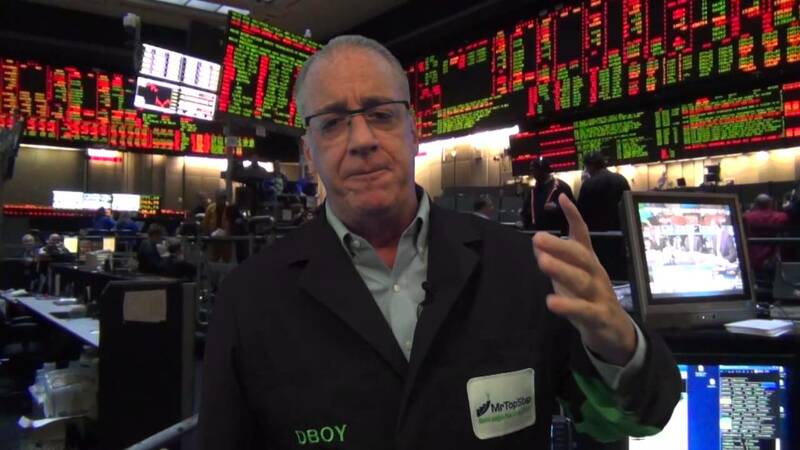 Our first chat is with Danny Riley of MrTopStep, a multi-channel outlet dedicated to financial news and education. Danny is passionate about the industry and he educates while he entertains on his Periscope channel. Read on to learn how Danny came to found MrTopStep, what he looks for in a trading execution platform and more. And, hope you enjoy the series. TT: How did you get involved in trading, and what path took you to where you are now? Danny: Less than a year after high school, I received an offer to work as a runner for Agra Trading in the grain room of the Chicago Board of Trade. As soon as I walked on the floor, I knew I wanted to be in the industry. 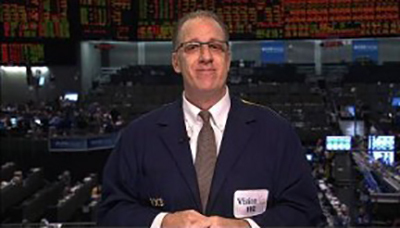 After working in the grain pit, I moved to the bond floor, and from there, I ended up at the CME, where I built the largest-volume S&P futures desk on the floor. As the demand for open outcry decreased, I moved my desk from futures to S&P options, where I filled orders electronically. Before leaving the floor in December of 2014, I founded a company called MrTopStep.com to help educate both professional and retail traders about many of the rules and methods I learned while on the floor. Since my move from the floor, I have had to work out the challenges of transitioning from the energy and feel of the floor to trading on the screens. I have found that volume imbalance and footprint charts have helped me recreate some of the market feel and trading rules I used on the trading floor. TT: Can you give us an example of how technology has changed your approach to something else in life as much as it has changed your trading? Danny: Less paper! For years, our clerks at the desk had to keep up with so much paper as every order had be recorded on paper. Technology has made so much of this more simple, not just in trading but in life. I used to keep a notebook of the trading lessons I learned; now I use Google Docs. Today everything seems to be electronically processed, including bill paying. TT: What are your top three requirements in a trading execution platform? Danny: My first requirement is a combination in that it needs to be both reliable and fast. These go hand in hand. I never like to hear from other traders that they have concerns about their platforms being unable to run properly after system updates, or constantly have software bugs that are causing problems. Also, some platforms have issues keeping up in fast-moving markets, which is not good. One thing that I learned when filling thousands of orders for customers is that every moment counts. Second, I have to have simple order entry. I have never been a “bells and whistles” kind of guy; I need my market depth window and/or order tickets to be very simple to use. Last is product support. I need to be able to email or call support and have inquiries handled in a reasonable and timely manner. What often separates those who last in this business from those who fail is having good, accessible customer support. TT: Do you have customers or do you trade your own account? Danny: After spending years filling orders for customers through our floor desk, I am now focusing on trading only my own personal account. However, when I executed customer flow my clients included Martin “PitBull” Schwartz, Paul Tudor Jones, George Soros, Bank of America, UBS, Societe Generale and many others. TT: What are the challenges you face daily in your trading? Danny: In the old days, the volume was a bit easier to interpret. However, in recent years since the rise of electronic trading, 80% of the volume is made up of program trading, algorithms and high-frequency trading, and traders do an excellent job of hiding their intentions. Combine this with order spoofing, and true volume can be very challenging to read at times. Another challenge is that the markets seem to have more of a dual personality than in prior years, meaning the index futures are either in a lower volume/tighter range than in years past, or they are extremely volatile with daily ranges that I have never seen before, and can move 20 handles in a matter of moments. With this hot/cold nature of the market, it creates a new challenge day in and out. TT: Thanks, Danny for sharing your insight on how you entered the futures markets and rode the wave of technology to transition into a trading educator and thought leader. Readers, you can find Danny through MrTopStep, watch his daily updates on YouTube or catch his live shows on Periscope.